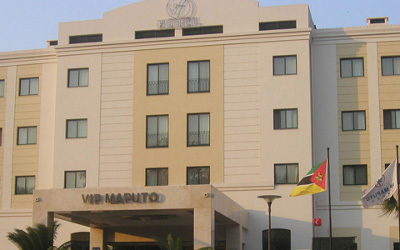 18th September 2015 – Lilongwe, Malawi: UbuntuNet Alliance is pleased to announce that its 8th annual conference, UbuntuNet-Connect 2015, will be held in Maputo, Mozambique on 19-20 November 2015 under the theme “Beyond Connectivity: The Road to NREN Maturity.” The conference will be co-hosted by the Ministry of Science and Technology, Higher Education and Technical and Vocational Training and the Mozambique Research and Education Network (MoRENet), the NREN of Mozambique. Many National Research and Education Networks (NRENs) in Africa have gained good traction and momentum as regards the provision of connectivity. Although on-going development of the connectivity infrastructure is necessary, it is time for the NRENs and their institutions to look beyond connectivity. What so-called value-added services – services that depend upon the connectivity infrastructure but add applications value – should be made available to enable full participation in major collaborative research and education programs? This is what the conference will address. UbuntuNet-Connect is Africa’s premier conference focusing on research and education networking – how the research and education community makes use of advanced Information and Communication Technology (ICT) applications for research, teaching and learning. Representatives from Ministries responsible for Higher Education, Science and Technology, Research and ICTs; the NREN community; Vice Chancellors; Academicians; Researchers; Civil Society; Communities of Practice; Pan African Organisations involved in Education, and Science and Technology; Regional Economic Communities (RECs); Development Partners; Telecommunication Regulators; and the private sector will be participating in this conference. UbuntuNet-Connect 2015 will coincide with the 10th anniversary of the UbuntuNet Alliance as November 2015 will mark 10 years since the Alliance was formed at the World Summit on Information Society (WSIS) in Tunis, Tunisia in November 2005. To celebrate the Anniversary, the Alliance has organised a special ceremony that will be held during UbuntuNet-Connect 2015 where among other things, the Alliance is expected to recognise and honor its founding members. Advance registration for the conference is required and registration fees is US$200 per person.